Today, my father would have turned 92. If he were alive, and healthy, he would have been working. On stage. 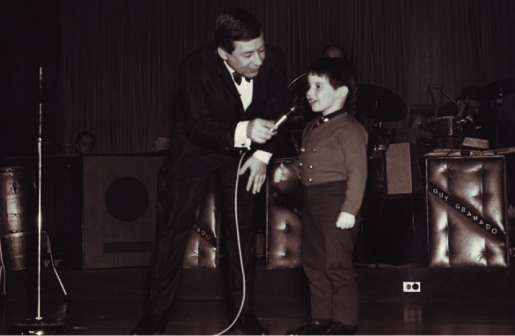 My father, Bobby Shields, was a standup comic. When I was growing up, I often heard him and his fellow comic friends talk about how they’d never retire – no matter how much money they made. Not if there was an audience that would show up to see them perform. My father was diagnosed with Parkinson’s disease in his early 60s. He kept working, trying to hide the symptoms on stage for some years until, finally, he became too rigid to speak or move fluently, and had to exit. I was thinking of him the other day when I interviewed one of the giants in the field of psychotherapy, Dr. Irvin Yalom, a conversation you can hear by clicking the photo. Yalom is 84. He is full of energy. He is writing his memoir – his 15th book. Here’s what he told me that reminded me of my father. Any good standup comic will tell you the same thing. I don’t plan to stop working. I enjoy it too much. What standup comics hate is not knowing when their next show is. To my knowledge, that’s the greatest anxiety of standup – worse, I imagine, than not getting laughs on a particular night. As long as there’s the next night. Bobby Shields did not stop being funny when he had to stop performing. My father would have killed ‘em at The Delphi. And as Dr. Irvin Yalom might say, my father’s humor, passed down from me, to my children, and on and on – will continue to ripple. Careers ultimately do end. The ripples of one’s life never do.